This is a sponsored post on behalf of Savings.com. 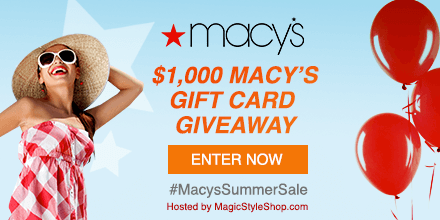 Through Sunday 6/25 enter to win a $100 Macy’s Gift Card! Click here to enter. There will be TEN winners so be sure to head over and enter to win! It’s just that simple! Not everyone will win a gift card, but everyone can take advantage of the great deals Macy’s is offering during the big Summer Weekend Sale so after entering head over & check out their sales! Use promo code WKND to take an extra 20% off PLUS free shipping on orders $99+. (some exclusions apply). Check out the sales here. I love this pan set! Down from $199.99 to $39.99! Check it out here. I’ve been loving Food Lion & their deals lately and I decided to help spread the love around! Find all the Food Lion deals this week here. Be sure to join our Couponing at Food Lion Facebook group too! This giveaway is for ONE $25 Food Lion Gift Card and TWO Reusable Food Lion Bags. Entries accepted through 10 pm EST April 29th 2017. The winner will have 72 hours to respond to the notification email with shipping address. One entry per person. You can see the full terms here. Easy to enter – Click here to register or enter below. (you will be added to our nightly emails. Even if you already get them you’ll need to register here to be entered. I rearranged my house and realized I had bought several items during Black Friday to give away to you and never did! Oops! So let’s get started cleaning out my stash with a 4 Qt CrockPot Smart Pot! I LOVE mine and use it several times a week. This giveaway is for ONE Crockpot Smart Pot. Entries accepted through 10 pm EST on 3/31/17. The winner will have 72 hours to respond to the notification email with shipping address. One entry per person. You can see the full terms here. Enter to Win *You’ll be added to our email list. Thanks to Delena I have THREE Sets of these rebate forms to give away! This will close at 10 pm EST 12/7. The three chosen will be notified within 24 hours! Register to be one of the chosen here. or below. By entering you will be added to our nightly email newsletter. Be sure to use your valid email and mailing address- this is how they will be sent to you! Get Chosen for the Rebate Forms! Have you ever thought about using Harris Teeter’s Expresslane? It’s a shopping service where you place your order online and a Harris Teeter personal shopper will shop your list for you- you pull up and they load it all in your car! MSM team member Lauren has been trying it out and here’s how it works & what she thinks. Your first order is FREE. Normally a single order is $4.95. You can pay for a month of orders for $16.95 or a yearly subscription for $99.95. The prices online are generally the same as in-store. However B2G3, Stock Up and Save, eVIC weekend offers, Expresslane Freebies, will only show on your final receipt when you pick up your order. Your estimated total online will not reflect these. You can use coupons with Expresslane however it will be credited to your net order. The actual coupon credit will not show up online but it will be reflected in the receipt at pickup. (See note below about how to have them credited on the current order). You can use EBT, however you will have to go inside the store to do so. 1) Register an Express Lane Account. Set your local store. Be sure to register your VIC card to get sale prices! 2) Add the items you want to your cart. This is the IMPORTANT step if you want your coupons applied to THAT order. Normally with Expresslane, you place an order. You drive up and they load your car with your purchases. You hand over any coupons and they will apply those discounts to your NEXT pick up order, basically giving you a credit for your next order. However if in this box “Note for Personal Shopper” you write : “I will be coming in the store with coupons to pick up this order. Please don’t close my order before I arrive with the coupons” the personal shopper will know not to total out your order until you come to pick it up. This allows your coupons to be applied to this order instead of a future one. You will have to go into the store and not just pull up at the drive up but it’s a great way to get your coupons applied immediently. If you do decide to have your coupons applied to your next order, put the total number of coupons and the value of discount you expect in this box. It just keeps a record in case your coupons are lost. Something similar to “15 coupons totalling a $27.25 discount will be dropped off at pickup”. 4) Pick your pickup time. For pickup on the same day, you have to give a 4 hour lead time. However we’ve found that they are almost always ready before those 4 hours are up. You can place an order up to 6 days in advance. HOWEVER – if you put an order in on Monday for pickup on Friday- the sale prices will have changed. The items on sale Monday change over Tuesday around 4 pm on the expresslane system. That means what you thought was going to be on sale won’t be when your order is shopped. To be sure you are getting the right prices for your order always place and pickup an order during the same sale week (Order and pickup from Wed- Tuesday). You will have the ability to modify your order up to 6 hours prior to the time due. If order is placed with less than 6 hours lead you will be able to edit up until the 4 hour mark. Just go to “My Account”, then “Order History” and click “Change”. 5) Sit back & Wait for your pick up time. Okay probably not. You’ll probably be doing the 673 other items on your to-do list but at least you aren’t trying to keep little hands off the products and avoid being hit with the mini shopper carts! Your personal shopper is gathering everything you need and navigating the aisles for you! Then they’ll load all the perishable items into these coolers just waiting for you to come pick it up. You will get an email and a text letting you know that your order is ready (we’ve found that they are generally done much earlier than the scheduled pick up time). 6) Pick it up. Simply drive up to the expresslane area and press the “call” button. Pop your truck or open the door and the Personal Shopper will head over with your order and you will hand over your payment and they will load your car. Off you go! We timed the last Expresslane pickup and it was 7 minutes and 40 seconds from hitting the parking lot to hitting the highway! Sometimes they even hand you a freebie! This week was a little pack of Gain Flings! The biggest downside to Expresslane is that they don’t bring it home and unpack it for you! What if there is something wrong with the order when you get home? They make it right! Once they left off a bag of shrimp from Lauren’s order. A Harris Teeter employee brought it out to her AND they gave her $20 off her next order. Will I get my catalina or rebates? Yep! Your receipt looks like a normal Harris Teeter receipt so no issue claiming any rebates and all the catalinas that printed will be attached to your receipt. Since it’s attached to your VIC card you will get your SavingStar offers too! Should I tip my personal shopper? Nope! Harris Teeter employees aren’t allowed to accept tips. The best way you can show your gratitude is by letting Harris Teeter corporate know what an amazing job they did. Can I get my coupons applied to this order? Yes! In the box “Note for Personal Shopper” write : “I will be coming in the store with coupons to pick up this order. Please don’t close my order before I arrive with the coupons” the personal shopper will know not to total out your order until you come to pick it up. This allows your coupons to be applied to this order instead of a future one. We’ve confirmed with corporate that this is allowed and possible. If the Personal Shopper closes out your order they won’t be able to add your coupons so don’t miss adding that note! Harris Teeter’s customer service is always top notch and their personal shoppers take it to the next level! We love that you can get rainchecks, catalinas and rebates! -Shoppers who have impulse purchase issues. This can keep you on budget and away from throwing things in your buggy. 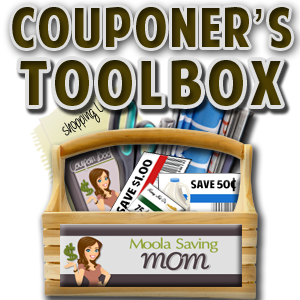 -Busy people who still want to save with coupons. Let them shop and you jut hand them over. -People who like to look for marked down meat, quick sale produce, peelies and tearpads. -People who enjoy being in the store (ME! 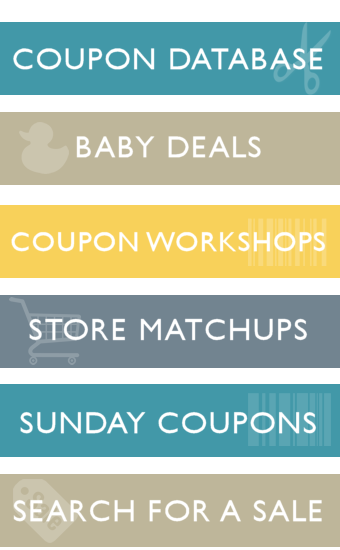 )- unless you want to drop your coupons off you never have to set foot in the store! Lauren loves couponing but she doesn’t like being in the store (might flash back to her days as a Customer Service Rep at Harris Teeter…told you we had insiders here at MSM!) so expresslane is awesome for her! She places the order, lets them shop and she brings her coupons inside. She saves time AND money. For me, I love picking up quick sale items and marked down produce so I’ll keep doing my own shopping! *Disclaimer: Harris Teeter has played no part in this post. We bought our own groceries and Lauren paid for the service too! This is a sponsored post on behalf of Mirum Shopper. All opinions are 100% my own. Win the Harris Teeter Hellmann’s & Breyers NASCAR VIP Experience and NASCAR Gear Giveaway! I am SO excited to share this with you! Harris Teeter, Breyers and Hellmann’s are giving you a chance to win VIP tickets to NASCAR races and all you have to do is use your VIC Card between 8/24 and 9/6 on your purchase at Harris Teeter! So hurry over to Harris Teeter and get your entries in! I know you all are in Harris Teeter a LOT like I am (we just can’t seem to stay away). Each purchase will automatically enter you! I have to be honest I stood in front of that Breyers Ice Cream case for a long while last night drooling over all the options that Harris Teeter carries. Chocolate, Vanilla, Neopolitan, Butter Pecan, Chocolate Chip, Oreo Blast, Girl Scout Thin Mint! And Hellmann’s Mayo is a must have in any pantry! From sandwiches to an amazing parmesan chicken- Hellmann’s Mayo is a staple that needs to be in every pantry! You MUST have a VIC card to take advantage of all the benefits at Harris Teeter- so all us of smart shoppers who already have one are already being entered with each trip! Don’t have one yet? Sign up for a VIC card here and start getting entries to this NASCAR Sweepstakes. *Use your VIC Card at Harris Teeter between 8/24 – 9/6 to be automatically entered for a chance to win (2) VIP tickets to NASCAR races in Charlotte, NC this October. No purchase necessary. See rules for more details. What an easy way to enter for a chance to win a NASCAR VIP experience! Don’t have a VIC card? Sign up for one here. You can’t go to a race without being decked out in gear! Courtesy of Harris Teeter, Breyers and Hellmann’s – two of you will win Dale Earnhadt Jr signed hat, shirt and a diecast model car! 1) Head to your local Harris Teeter and snap a selfie of you and Breyers Ice Cream or Hellmann’s Real Mayonnaise. If you’d rather you can post a picture of your receipt with a Breyers and/or Hellmann’s Purchase. 3) Be sure your profile is public or I can’t see it! And be sure to follow me (@MoolaSavingMom) too! Winners will be notified around 9/9. Enter the Contest for a chance to win with your mobile device by logging in to your Instagram account and uploading a “shelfie” of yourself and either the Hellman’s Real Mayonnaise shelf or Breyers Ice Cream shelf at your local Harris Teeter store with the hashtag #Sweepstakes and tagging @moolasavingmom. You must have an Instagram account in order to enter via Instagram and you must be a follower of @moolasavingmom on Instagram in order for us to see it. I can’t win but here are my selfies! My family are BIG fans of the farmer’s market and Pick Your Own farms. Food that only travels a few miles is fresher and tastes better than food that travels for days and week before hitting the grocery store. Sadly, the farmer’s market is a bit of a drive for us and we haven’t made it nearly as often this summer as we would like to. Add to that – as a family of entrepreneurs (there are 4 small businesses in our family!) I know how much local, small businesses appreciate the local support. So when Lowes Foods debuted their Carolina Crates I couldn’t wait to try them out! The Carolina Crate is Lowes Foods’ version of a CSA box or “Community Supported Agriculture” in that they have committed to buying the farmer’s produce in advance of harvest. The best part about the Carolina Crate is that you aren’t required to buy one every week! You can just pre-order your box on the weeks you want it! It’s like the farmer market comes to you- they even load it in you car for you through Lowes Foods To Go! Carolina Crate is also unique because each week, there are various fruits and vegetables from farms all over North Carolina, picked that week especially for the box. Unlike other CSA programs, a customer is guaranteed various types of produce, so you won’t end up with a box full of potatoes for one week. The Carolina Crate is available every Saturday and Sunday on a first come first serve basis through August 27th. Each box is $20 and will contain 6-8 varieties of produce.. The produce all looked fresh & I can’t wait to cook with it this week! The flyer inside the box also features a recipe for some of the produce in your box! Be sure to place your order ASAP to get in on next week’s box to pick up Saturday Aug 13th! Enter Below before 11;59 PM EST on Sunday 8/7/2016 and a winner will be chosen to get a FREE Carolina Crate for pick up at their local store! Through June 30th, The Perdue Crew will be giving away Grilling Tool Sets, Full Grilling Kits, and a bunch of $100 Amazon Gift Cards. Just head on over here and sign in with your Twitter or Facebook. Every 500 points earned = an entry into a scratch-off instant win prize. Earn points, go to perduecrew.com, and play the scratch-off instant win game. Every time you scratch, you are eligible to win one of eight (8) $100 Amazon gift cards! Limit 20 scratches per member per cycle. Anyone who participates at all this month is entered to win a Grilling Kit. The top 3 ideas submitted will each win a 13-Piece Grilling Tool Set. The top 3 recipes submitted will each win a 13-Piece Grilling Tool Set. And finally, 3 randomly selected recruiters will each win a 13-Piece Grilling Tool Set. Every verified friend you recruit into Perdue Crew = another entry into this drawing. Every approved Instagram photo you upload using the #perduechickenpromotion hashtag earns you 500 points. For every friend you get to join, you’ll score 1,500 points. Create and share your favorite recipes for 500 points. Score 500 points for each additional network you connect including Facebook, Twitter, Instagram and YouTube. I’m very excited to introduce you to PINCHme and offer a special giveaway! PINCHme is a monthly subscription site that lets you try products from leading brands, completely for FREE! All they ask is for your feedback on the products. A selection of free samples are released on PINCHme for members to claim every month. These samples include grocery, baby, pet, beauty, home and personal care items. Be sure to visit PINCHme.com for this month’s Sample Tuesday on April 12th at 12 Noon EST to claim your free samples! The best part is that it is 100% free, they will not ask for any credit card information! PINCHme sent me a special trial box & they’ve offered to send one to one MSM reader too! So now you can sign up to get the April box PLUS enter to win a box like the one below! 2) Leave a comment letting us know you did. Be sure to use the same email in your comment as you registered with PINCHme. Comments open until 4/12/2106 at 11:59 pm EST. One comment entry per household. You must register with PINCHme and leave a comment in order to complete your entry. There is no purchase necessary. See additional rules here. I’ve got a $50 Harris Teeter gift card burning a hole in my pocket! Want it? Join our email list here and you will be entered to win. You must confirm your email to be entered. If you are already subscribed to our emails- you need to sign up below to be entered but you shouldn’t get double emails. Comments will be accepted from now until 11:59 p.m. on 04/16/2016 EST. Winner will be randomly chosen.. Winner will have 48 hours from notification via email to provide a mailing address. Failure to do so forfeits the prize. Limit 1 entry per person. Use a valid email to ensure you receive notification if you are the winner. Entry acceptance is at the discretion of MoolaSavingMom.com. Any entries deemed to be placed unfairly will be deleted and disqualified at our sole discretion. No purchase necessary. We are not responsible for unreceived emails or lost or misdirected mail.